So, as I already discussed in this awesome post, Periscope is my new obsession. It’s an app that let’s you stream video live from your mobile and interact with your viewers in real time. It’s free to sign up. To get started, just use your Twitter account, and download the app to your Android or iOS device. But while there are already a gazillion ‘how to’ articles on Periscope, I find that most of them state the bleeding obvious. What makes the difference between an okay scoper and an UBER scoper? What could make the difference between just my mum watching and the whole world Tooning in? And, how can you use Periscope to drive traffic and sales to your business? In this post, I’ll share some great tips for fab scopers, as well as giving you the low-down on my own personal scoping special sauce. 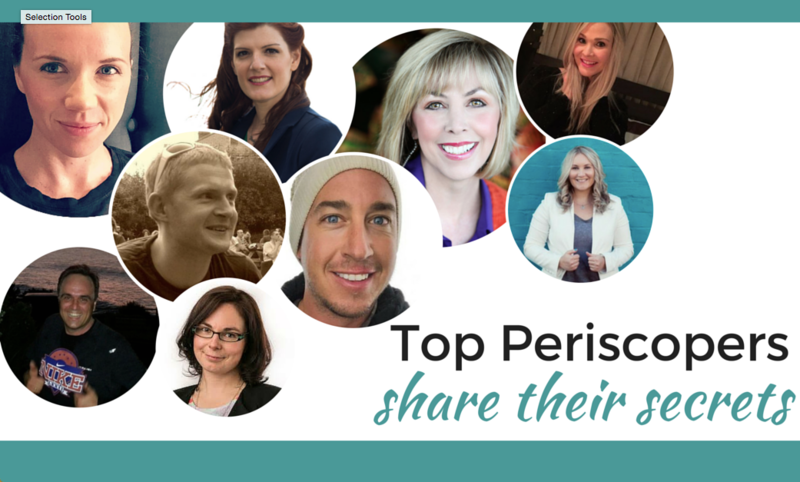 TOON TIP: I actually signed up to Kim’s Periscope Profit Machine ecourse last week (it’s the first ecourse I’ve ever done,) and it’s awesome. If you’re a newbie, this affordable course – with a great community behind it – is a seriously fab place to start. “We use our live streaming to show our viewers behind the scenes of how we make our products. The viewers feel they’re part of the process and always ask how they can buy the product they see. So, we send them to the Perfection Chocolates website and our other platforms, including Instagram, Facebook, Twitter, etc. “It’s important to engage. You’re not a billboard, advertising AT people, you’re one person on a screen having a conversation with 5, 50 or 500 people on the other side. Everyone is a real person and every person matters. “I recommend using a good quality, approachable profile picture and a snappy succinct bio. Mix up your content: Try to have a mix of scope styles including Q&As (ask me anything), behind the scenes, tips and advice, storytelling, tours and outdoor adventures, rants and grumbles. Don’t stick to the same format for every scope. Set a regular time: Although I still do random scopes when I feel like it, I get many more followers, shares and hearts from my regular 10am scopes (Tues and Wednesday). Sign up to Katch.me : It allows you to keep your scopes for longer (they’re only on Periscope for 24 hours). You can also reshare and embed your scopes from Katch.me. Repurpose your content: If your scope went well, consider repurposing it for YouTube, sharing it across other social media networks, embedding it into a blog post or sending it to your email base. Remove the trolls: If someone says something inappropriate on your scope, just click their name to block them. Often other watchers will do this for you. Have fun: I find, Periscope is a great way to chat to many of my internet buddies and interact. It’s an awesome outlet for a solo worker like me. Yes, I make mistakes, yes, I cringe at some of my scope antics, but that’s me; that’s who I am. So I’d better embrace it, right? Do you have any Periscope heroes? Or any top tips you’d like to share? Please let me know if the comments below.